AFRICA RISING Program (Africa Research in Sustainable Intensification for the Next Generation) is part of the Feed the Future Initiative of USAID. This initiative is funding three projects in West Africa, Ethiopian Highlands, and East and Southern Africa. The project in the Ethiopian Highlands is ‘Sustainable intensification of crop-livestock systems to improve food security and farm income diversification in the Ethiopian highlands’, led by ILRI. ILRI seeks to recruit a Project Coordinator to coordinate and manage the project (about 40% time) and provide scientific input into project implementation (about 60% time). The deadline for applications is the 18th May 2012. 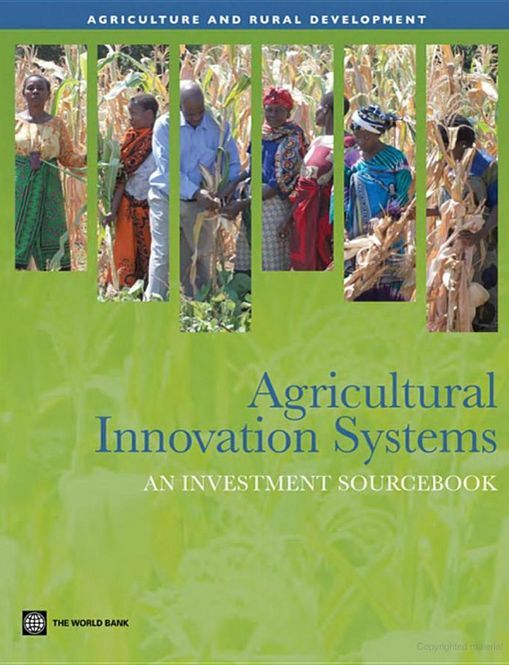 This book contributes to the identification, design, and implementation of the investments, approaches, and complementary interventions most likely to strengthen agricultural innovation systems (AIS) and to promote innovation and equitable growth. The Sourcebook provides a menu of tools and operational guidance, as well as good practice lessons, to illustrate approaches to designing, investing in, and improving these systems. The International Maize and Wheat Improvement Center (CIMMYT) is looking for for an innovative, results-oriented scientist with excellent skills in agricultural innovation to facilitate technology adoption and maximize CIMMYT’s impact. The scientist will work as a member of CIMMYT’s Global Conservation Agriculture Program (CIMMYT-GCAP), and will play a key role in a large multi-disciplinary and multi-institutional team. The selected scientist will work closely with CIMMYT’s research teams in the different regions where innovation approaches are implemented, and will partner with advanced research institutes, national research and extension programs, NGOs and private sector stakeholders. He/she will be responsible for reinforcing/evaluating and redesigning, if necessary, multi-stakeholder approaches for the co-development and increased adoption of sustainable agricultural practices in Latin America, East and Southern Africa, and South Asia. FARA releases a report examining the experiences of 21 case studies covering a wide range of African farming systems over broad geographic and historical landscapes. 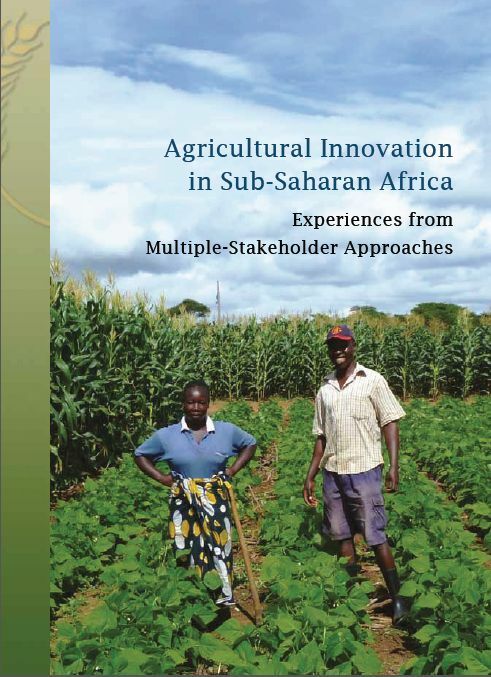 This review seeks to assess the usefulness of innovation systems approaches in the context of IAR4D in guiding research agendas, generating knowledge and use in improving food security and nutrition, reducing poverty and generating cash incomes for resource-poor farmers. The report draws on a range of case studies across Sub-Saharan Africa to compare and contrast the reasons for success from which lessons can be learned. Part of the SLP team met in ICRISAT-Bulawayo from 28 November to 4 December to discuss research results and outputs of the crop residue project for the Southern African region. One of the main activities of the week were two workshops in Nkayi to review preliminary study results on the current state of crop livestock systems and crop residue utilization and discuss options with farmers and other stakeholders. The first workshop was held in one of the eight study villages, Sibangilizwe, where land use seemed the most intensive. Around 20 farmers of different ages, gender and herd sizes attended the meeting. The farmers first discussed the SLP survey results and then divided into two groups to discuss means to a) improve crop production and b) improve livestock production. For crop improvement, access to improved seed and agricultural knowledge were emphasized. For livestock access to inputs and information on animal health and feed were of major concern. Exploring the option of improving cropping technologies to produce more and higher quality crop residues was viewed as an important solution to address livestock feed shortages. A final exercise clearly showed that farmers prefer to intensify the existing croplands and livestock above croplands and livestock expansion, take up new products for niche markets and commercialize, and move out of agriculture. The following day, another workshop was hosted by local government (Rural District Council). Participants included farmers from a different village as well as from district and provincial level support services (Agricultural Extension Services, Department of Livestock Production and Development, Department of Veterinary Services, Department of Irrigation, Environmental Management Authority) and NGOs. A delegation, preparing a project proposal for submission to the Australian Centre for International Agricultural Research (ACIAR), also joined the meeting. The participants discussed promising technical, institutional, policy options with regards to crop livestock intensification. Methods to improve soil fertility, crop diversification for food and feed and fodder crops were identified as important possibilities to explore. This needs to be supported by multidisciplinary teams that can capacitate service providers on supporting crop-livestock intensification and train farmers on the relevant technical issues. Local bylaws need to be strengthened for better use of cropland and rangeland. Crop and livestock markets should be resuscitated, sensitizing private sector about the existing market potential among smallholder farmers, improving linkages between input and output markets and knowledge on how farmers can make best use of these markets. Effective forms of facilitating communication among stakeholders, particularly research, extension and development, should be institutionalized for these purposes, with access to information highlighted as key requirement to enable farmers to embrace change. The SLP team will use the experience (results and process tested) from the Nkayi workshops to inform the development of research tools across the SLP sites, especially to further study the institutional frameworks and options and for developing future research proposals. The Landscapes for People, Food and Nature is an international collaborative initiative that aims to scale up successful strategies that simultaneously improve livelihoods, conserve biodiversity and ecosystem services, and feed the world while helping to address climate change. This integrated approach combines interests across multiple sectors to improve landscape management. Dialogues of this three year collaborative initiative will start in an international forum in March 6-10th 2012 in Nairobi, Kenya. Co-organizers include Biodiversity International, Conservation International, EcoAgriculture Partners, FAO, Dutch Ministry of Economic Affairs, Agriculture and Innovation, UNEP, UNU-IAS and the World Agroforestry Centre. Stockholm Resilience Centre is looking for input, comments and suggestions on the commissioned report by Hivos and Oxfam Novib: “Agricultural biodiversity, smallholder farmers, and adaptive capacity – status of knowledge in the context of resilience and transformations”. The report aims “to identify knowledge gaps related to biodiversity conserving agricultural production and marketing systems, to reduce risks and improve the livelihoods of rural people living in poverty”. Inputs should be addressed to Pernilla Malmer.